#False Muslims burning pakistan’s flag in Gujarat after #UriAttacks & Media is not being show n by Media. please spread. 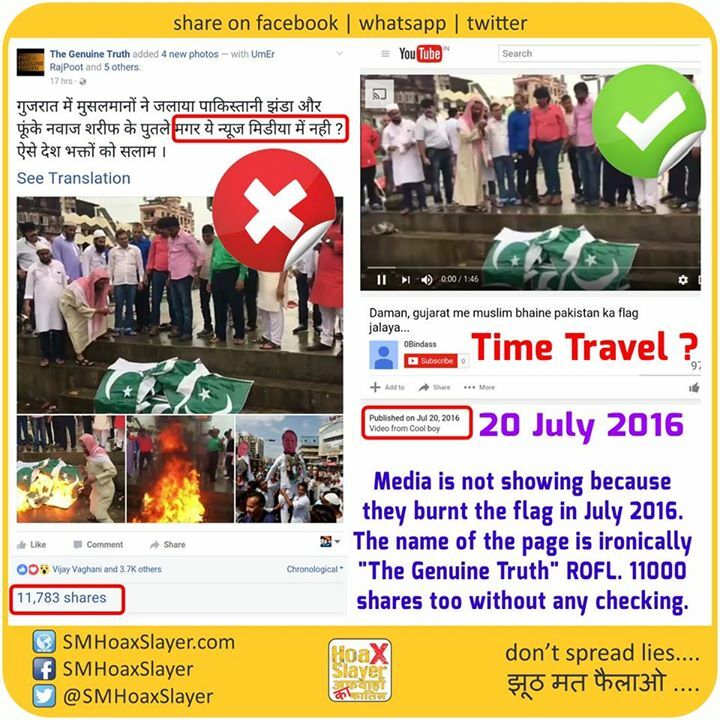 Although they did burn the flag, but it was in July 2016 so why should media show now? And if the guy time travelled to present for that video, I’m lretty sure he must have had told Gov about Uri attacks too. The name of the page is ironically “The Genuine Truth” LOL and 13000 people shared it too.